Mumbai, Maharashtra, India: Mumbai based, solar energy EPC firm, Oriano Solar has successfully completed two 20 megawatt (MW)ac photovoltaic (PV) power plants, totally 40 MWac for First Solar, Inc. (Nasdaq: FSLR) in the state of Karnataka, in Gadag and Belagavi districts respectively. "This is Oriano’s first project with thin film modules, and their commitment to deliver on time within budgets was exemplary,” said Sujoy Ghosh, Country Head, for First Solar in India. 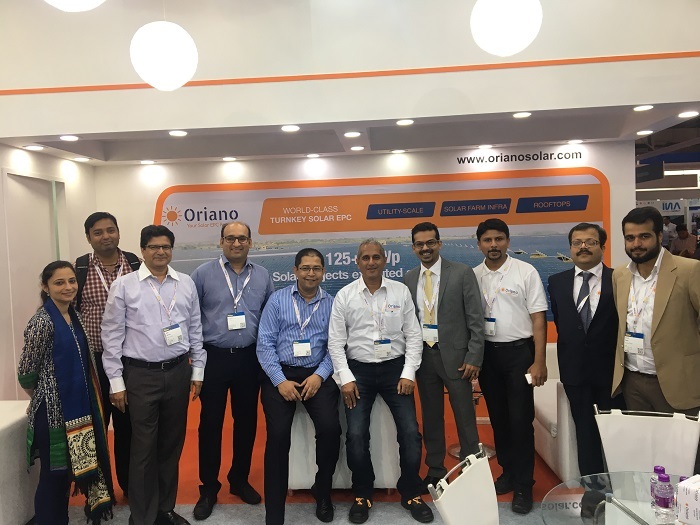 Oriano has executed 125 MW of projects (Utility-Scale and Rooftops) in India and is working on advance-stage pipeline of over 200 MW of projects in the next financial year where it brings capability to manage solar farm infrastructure like land, turnkey EPC and transmission line. Oriano Solar recently received “Solar PV EPC Company of the Year - Utility Scale < 50 MW” – Gold by India Solar Week Excellence Awards. Oriano was also awarded “Energy Startup of the Year” at the Entrepreneur India 2016 Awards in association with ET NOW and “TECH30 company of the year” at TechSparks 2016 by YourStory Media.